This entry was posted in Book Memes, Teaser Tuesdays and tagged book memes, sally thorne, teaser tuesdays, the hating game by Yvo. Bookmark the permalink. I’ve been hearing so many good things about this book! I hope you enjoy it! I’m looking forward to finally read it! Love the quote! 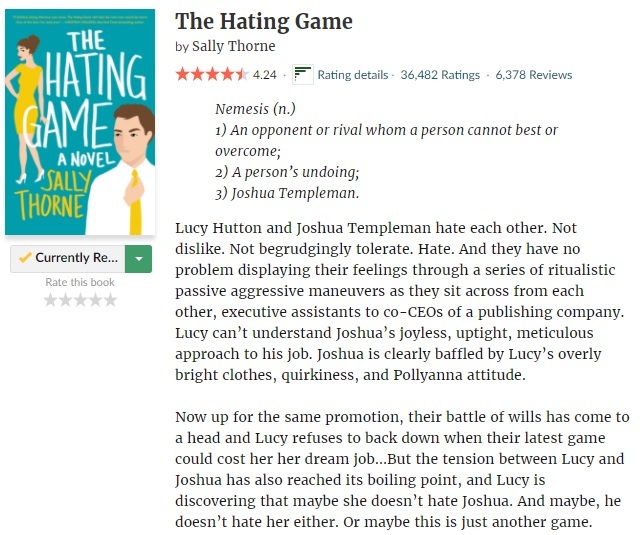 I am dying to read The Hating Game. Hopefully I pick up my copy from my shelf and finally read it this year. The quote basically made me want to drop my current read and start this one haha. I hope you will be able to pick it up this year!